Wilson Elementary School fifth-grader Tatiana Cano had never shown her drawings to more than a few people, but on Dec. 31 a crowd of 50,000 cheered wildly for her artwork and that of her classmates during the Grand Park New Year’s Eve celebration in Los Angeles. 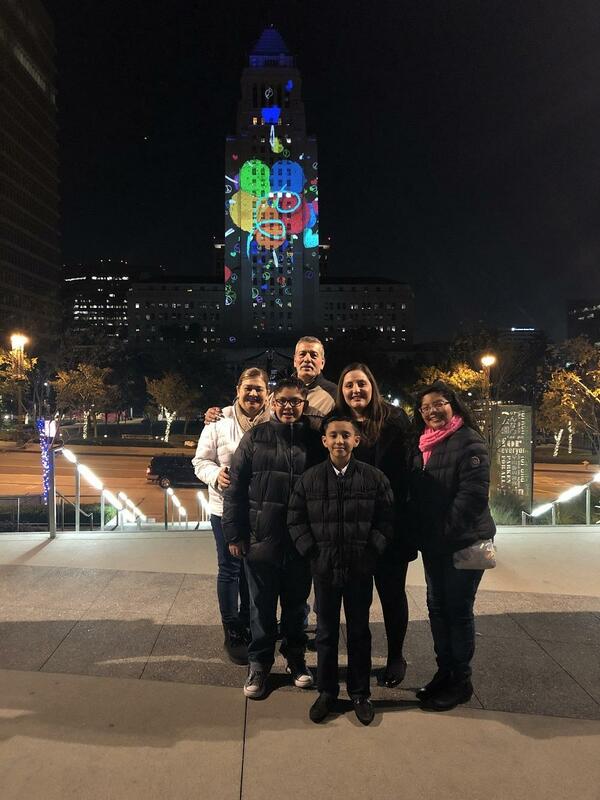 Cano and fellow students Leonardo Guzman, Jessie Ramirez, Carla del Villar, Mario Guerrero and Isaac Morales saw their art transformed into a giant projection on Los Angeles City Hall during a five-minute countdown to the New Year. The showcase was a project through the Turnaround Arts: California program, which provides support for select schools. 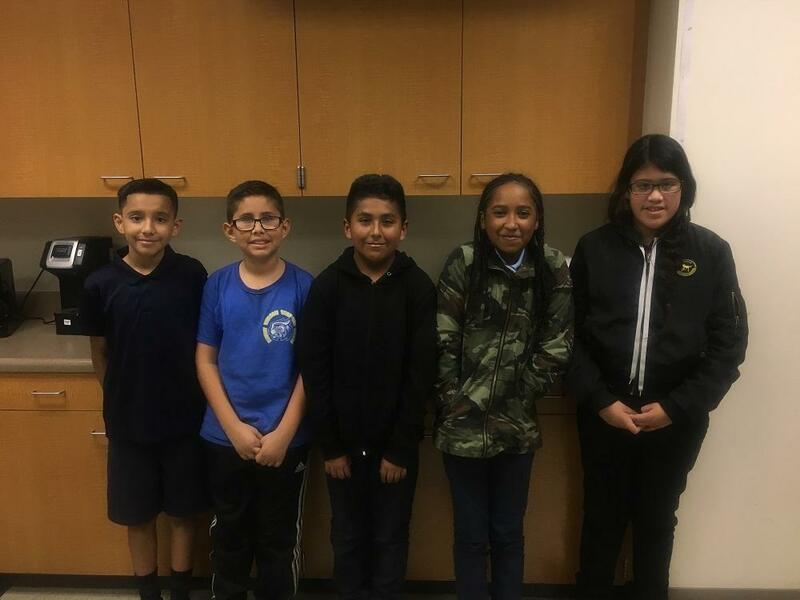 Teacher Maria Covarrubias’ fifth-grade class at Wilson Elementary produced drawings, essays and poems that were displayed during the week leading up to New Year’s Eve. Six students were selected from the class to have their work displayed during the NYE celebration. Covarrubias gave her class one month to complete their projects. Students shared the final results with classmates. Ramirez and Guzman each drew inspiration from the popular video game Fortnite and produced colorful references from the game like Tomato Town, Retail Row and the Clock Tower. Villar created an interpretation of the Eiffel Tower, Morales developed a futuristic city with flying cars and Cano created a setting with deer, a tropical bird and a prairie. Lynwood Unified Superintendent Gudiel R. Crosthwaite said the District’s involvement in Turnaround Arts has helped build confidence for students in areas beyond the arts. The Turnaround Arts: California program serves 27 schools and more than 17,000 students across California, providing art resources, musical instruments, high-profile mentors and teacher training.